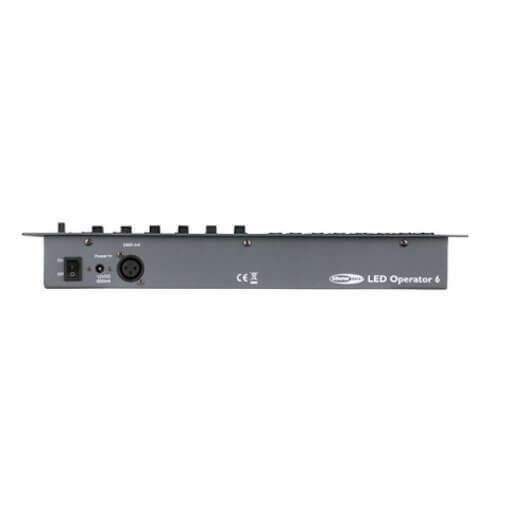 The LED Operator 6 is an universal, compact but powerful controller which is capable of controlling up to 6 channels per fixture. Therefore the LED Operator 6 is suitable to control any LED fixture with 6 colours LED (RGBWA-UV) in 6 different groups. 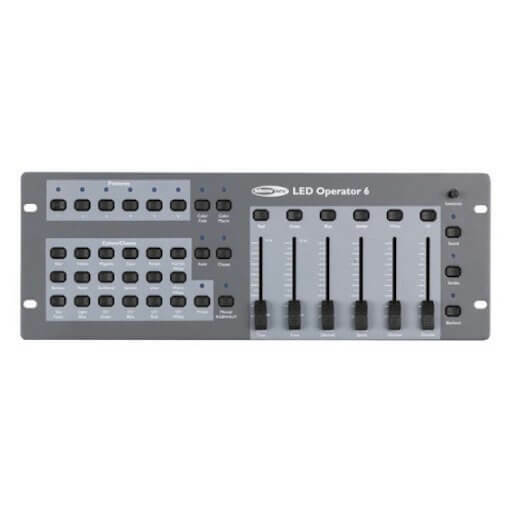 The LED Operator 6 allows you to control effects by simultaneously operating each fixture in different playback modes, with variable fade times. The LED Operator 6 offers unlimited flexibility with numerous playback options that include RGBWA-UV, automatic and sound-active modes. Increase control with adjustable audio sensitivity, strobe and black-out effects.